Cassini Spacecraft Prepares For A Fiery Farewell In Saturn's Atmosphere : The Two-Way NASA's probe has spent the past 13 years orbiting Saturn, making a number of important discoveries along the way. On Friday, it will hurl itself into the planet's atmosphere and disintegrate. NASA's Cassini probe has orbited Saturn for over a decade. This Friday, scientists will steer it into the gas giant's atmosphere. 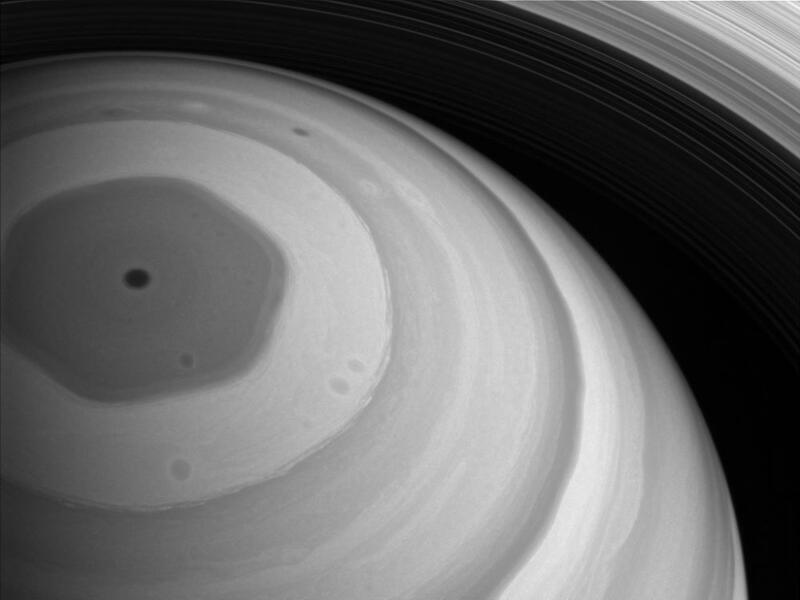 Cassini has observed a strange, hexagonal jet stream at Saturn's north pole. 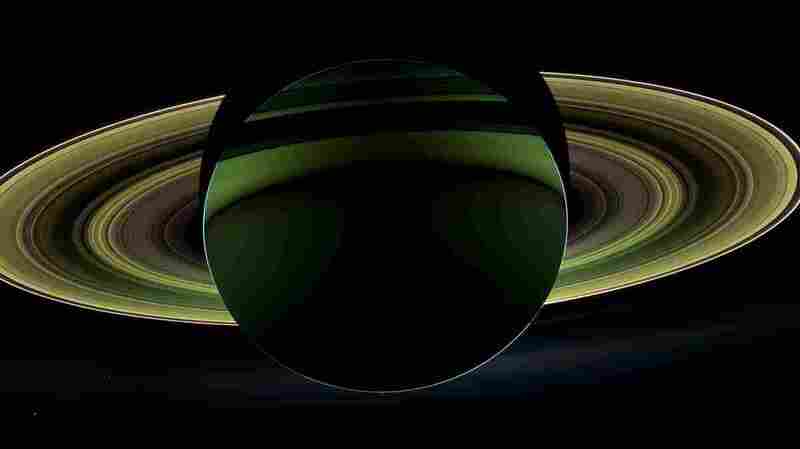 This video stitched together thousands of images taken by Cassini. 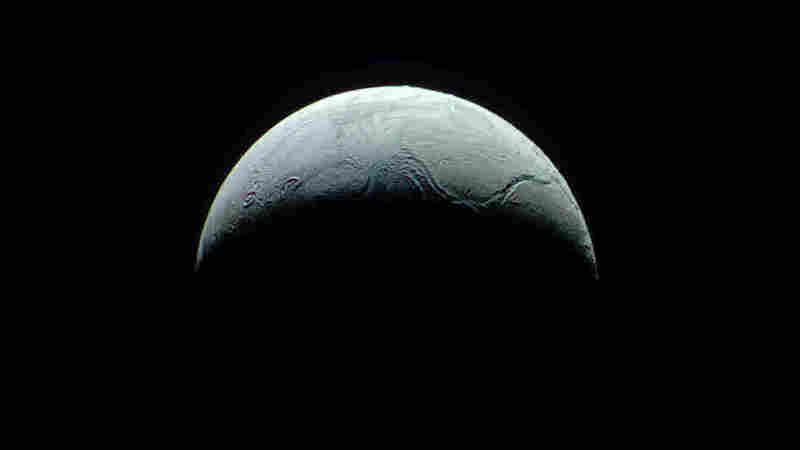 Cassini has detected jets of water coming from Saturn's moon Enceladus. Scientists think liquid oceans may lie beneath the surface of the tiny moon.